The general process of converting malt into beer through the stages of mashing, boiling, and fermentation is the same everywhere. But brewers are notoriously secretive about their techniques for combining water, malt, and hops, the three main ingredients in beer. This makes it difficult to work out exactly what beer from the period was like. In the case of Cain’s however, evidence from the 1860s offers an insight into the style and quality of the beer being produced, as well as telling us quite a lot about the size of the brewery. This evidence takes the form of a ledger or brewers’ diary kept by William Blackburn, who joined Robert Cain’s brewery on July 14, 1862. For the next five years he brewed some of Cain’s best-known beers and the ‘Superior Ales and Stouts’ that were advertised around Liverpool on billboards and pub signs. Blackburn’s meticulous record includes details of the type, age, and quantities of of hops and malt used, as well as recording the outcome of each brew. The final brew Blackburn made for Cain took place on September 7, 1867, before he took up a position in the Windsor Brewery on Upper Parliament Street, which belonged to his family. He records sadly ‘These brews were left in the squares when I left Cains and I do not know the result of them’. In the mid-nineteenth century scientific approaches to brewing were in their infancy, though chemical analysis of water supplies was becoming common among the larger producers. The rate at which Cain’s brewery expanded suggests that even then he was able to make reliable, uniform beer of good quality. William Blackburn records the rate of expansion in his ledger. When he first began working for Cain the brewery was producing around 53 or 54 barrels of beer every two or three days, up to around 150 barrels each week. Five years later production had risen to 64 barrels every other day. In some weeks in 1867, even during the difficult summer months, the brewery produced almost 300 barrels of finished ale each week, around 15,000 barrels a year. This was not a large brewery by national standards. 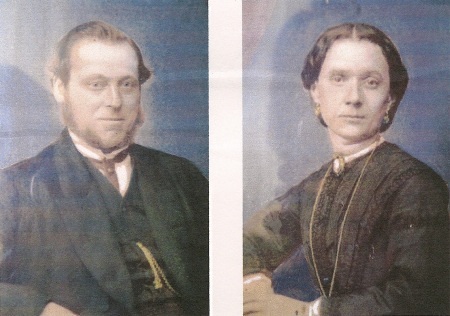 London brewer Whitbread produced 190,000 barrels in 1830 and 250,000 in 1880. But the rate of growth–a doubling of output in just five years–is remarkable nevertheless. Later in life Cain became known for having a keen interest in the most up to date techniques and claimed that if he could see an advantage in a new piece of equipment he would buy it without hesitation. It is likely that despite having limited formal education Cain was already interested in brewing to modern scientific standards when he bought the Stanhope Street site. It is probably worth noting that Blackburn’s Windsor Brewery was taken over by the well-known Liverpool brewer Higson’s around 1912. Higson’s renamed it the Cheapside Brewery. In 1923 Higson’s bought the Mersey Brewery from Robert Cain and Sons and brewed there until the late 1980s. 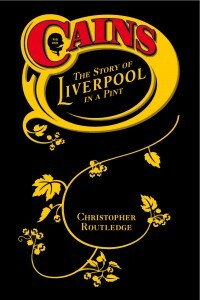 Read more about Cains: The Story of Liverpool in a Pint. Read more about the boxer Charles Blackburn at the Liverpool Museums website.